Elisha D. Roy is a Fellow of the American Academy of Matrimonial Lawyers and Board Certified Marital & Family Law attorney practicing in her own West Palm Beach boutique law firm. Throughout her career, Ms. Roy has been active in both the local and state Bar Associations as well as voluntary bar organizations. Ms. Roy has served in various leadership positions on the Executive Council of the Family Law Section and is currently the Immediate Past Chair of the organization. During her time with the Section, Ms. Roy was integral in the drafting and passing of numerous statutes that have changed the face of family law in Florida, including changes to parenting, alimony and child support. Ms. Roy is a frequent lecturer and author on legislative topics as well as substantive issues. 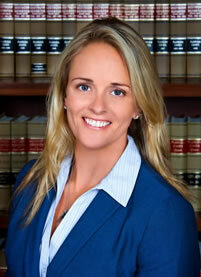 Ms. Roy also serves on the Marital & Family Law Board Certification Committee. Ms. Roy has been awarded for her hard work both in and out of the Court. Ms. Roy also serves the community serving as a Member on the Palm Beach County Chapter of the Leukemia & Lymphoma Society Board of Trustees and as a Board Member for the Palm Beach County Early Learning Coalition.